Who doesn’t love a good cup of coffee? Or a beautifully poured flat white? 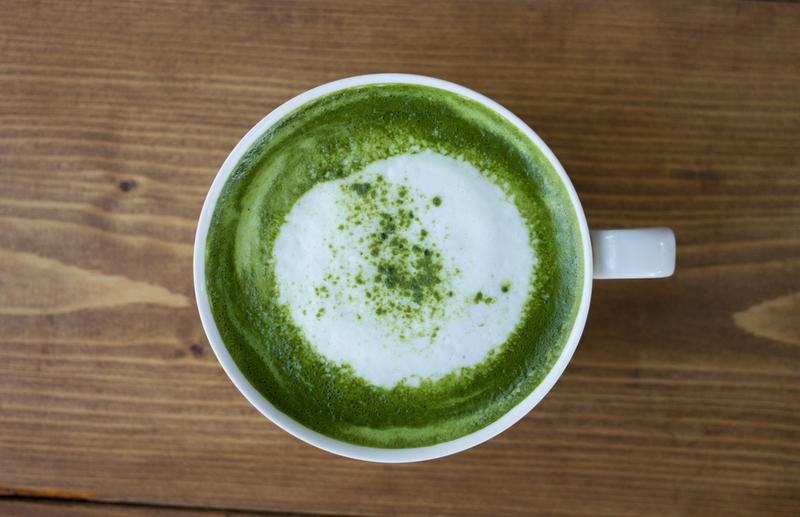 We, however, are currently obsessed with matcha lattes! This antioxidant filled treat is not only delicious, but filled with all sorts of health benefits from the green tea in the matcha. Below is a list of our top 5 favorites in the city, all within a stone’s throw of One Mission Bay. Make it your mission to try each one! Asha Tea House: Owner David Lau is serious about sourcing antioxidant rich matcha in both standard and ceremonial grades from family farms in Uji, Japan’s premium growing region. There’s a regular line at the Financial District location for the latte (iced or hot Clover Stornetta milk) or affogato, a decadent treat of matcha poured over Three Twins organic vanilla ice cream. Contraband Coffee Bar: The “Pirates Chai” is a spicy organic matcha green tea chai latte you can order 10 minutes ahead via app, customizing your choice of milk, for a speedy escape. But the regulars at Contraband order theirs to stay, settling in for the mellow vibes at this free Wifi haven with ample light and art-filled walls. Boba Guys: Pair your matcha with tapioca pearls at Boba Guys, where you can get organic match poured over Straus Family Creamery milk, house made syrup, and boba, or a matcha affogato with Frozen Kuhsterd custard, with rotating flavors. The matcha drink is available at all locations, while the affogato is limited to Hayes Valley and Union Square. Café Reveille: This Mission Bay standout is as beautifully designed as it is filled with yummy treats! Probably the most Instagram worthy matcha latte on the list, this option is artfully presented in the perfect ceramic mug, and photographs gorgeously on their white marble countertops. Make sure you get your snap quickly though, you don’t want wait too long to sip this beauty. farm : table: For a rustic breakfast/brunch spot that feels more wine country than inner city, keep an eye out for the red and white facade along this Lower Nob Hill stretch. Chai lovers who are game to go matcha can combine a hint of spiciness with creaminess, sipping a generous matcha chai tea latte at the indoor communal table, at a small sidewalk table set out in good weather, or from a perch on the plant-adorned wooden parklet.